‘It’s ridiculous!’ – Ex-NUFC striker hits the nail on the head during message to Mike Ashley – NUFC blog – Newcastle United blog – NUFC Fixtures, News and Forum. Former Newcastle striker Mick Quinn believes it’s ‘ridiculous’ that Newcastle have reached April without sorting Rafa Benitez’s future at the club – stating that a contract must be sorted ‘as quickly as possible’. The Chronicle reported yesterday that the club are hoping to come to an agreement with Rafa over the next two weeks, but with no breakthrough as of yet and Benitez ‘waiting for an answer’, tensions are high on Tyneside, with the Spaniard all set to leave this summer unless he signs. 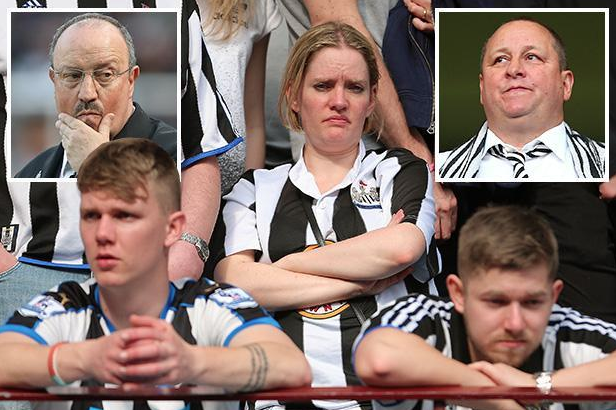 “I have a simple message for Newcastle United, and I’m sure it’s one just about every fan agrees with. “Get Rafa Benitez’s contract sorted. And get it done as quickly as possible. “Rafa’s made it clear he wants to stay, the club seem like they want to keep him, and the vast majority of supporters want him to be manager come the start of next season. He’s hit the nail on the head here, with Quinn’s comments echoing the thoughts of just about every Newcastle fan here. At a stage where momentum should be building ahead of next season – especially after last Friday’s huge win at Leicester – we’re instead wondering whether Saturday’s clash with Southampton will be Rafa’s penultimate home game in charge at St James’ Park. The situation hasn’t been simple – he wouldn’t want to sign a new deal and be committed to the club if we went down – but something should have been in place in advance. After all, a decision to back a world class manager capable of working miracles shouldn’t be a difficult decision when we’d have most likely dropped back into the Championship (or still been in it!) by now if it wasn’t for his work over the past few years. With safety now all but secured and less than four weeks left until the season draws to a close there’s nowhere to hide anymore – just everything to lose and nothing to gain if we can’t give him what he wants. Why blame Newcastle / Ashley when Rafa has said he won’t do anything about it until he thinks we’re safe? Eh? If Rafa had have got transfer money that he was promised last summer we wouldnt be in this predigiment we are in now, ….. Course it’s ncles/Ashley’s fault .. .